I'm really happy with the "King of the Mountain" one. I worked out the spot pattern a while back when I knitted this little combo. 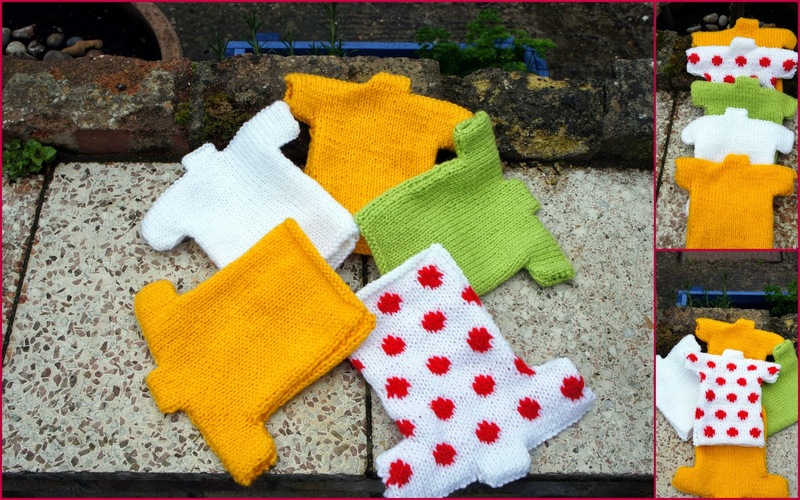 I now need to reverse the colourway and knit Jessica her own "K of the M" ready to watch the start of the Cambridge leg of the Tour de France, I'm sure it will pass her by but at least she will look the part!! I love the knitted spots, so cute!